Today’s show was one of those conversations where we could have kept talking for hours. Many of you may know Ruth from her beautiful art and from Instagram, and you’re going to love her even more after listening to today’s show. 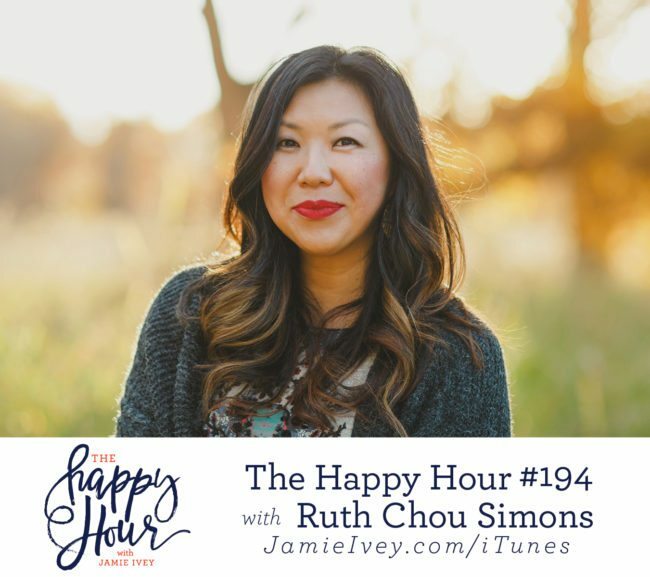 Ruth and I start out the conversation talking about how she got her name when she immigrated to America – you may not believe this but, it came from a man who didn’t even know her and he named her parents at the same time as well! We discuss the importance of teaching culture to our children, and making sure it doesn’t get in the way of learning about God’s grace. Ruth then shares the amazing story of how her mom came to know Jesus and how a woman she barely knew invested in her mom. It’s such an encouragement that our actions can make a bigger impact than we may ever realize! Mark your calendars – next Happy Hour Live October 5-6. Sign up for the newsletter to be the first to know how to get tickets!